The tax rates for 90% of the goods have been announced, but there is still some doubt regarding taxation for certain categories. Read our expert analysis. The GST Council has finished its first round of deliberations regarding GST rates and tax slabs for goods and services. Although, rates have been announced for around 90% of the items there are still areas which require clarification. Below, we list these categories and the clarifications needed for each. Many states like Himachal Pradesh and Uttarakhand offer tax holidays and other benefits to manufacturers, which is why big FMCG brands such as Nestle, ITC, Hindustan Unilever, Dabur, Cadbury have set up their plants there. These companies are looking for clarifications regarding the tax holidays. Not allowing these tax holidays could result in a 20-30% increase in cost after GST. There are discussions of giving cash refunds to these companies in lieu of tax holidays as followed by J&K but nothing has yet been finalised. Different states also have different tax holidays and other benefit schemes for certain state products. UP is looking for exemptions for “puja samagri” items instead of the proposed 18%. Kerala wants gold to be taxed at 5% instead of 1% arguing that gold is not an essential commodity. Various state finance ministers are seeking exemptions on state products like silk yarn, cotton yarn, and handicraft items. No clarifications have been yet received. Services were expected to have 2 rates of 12% & 18%. However, sources say that there might be just 1 rate for service taxes. If 18% rate is applicable on services then cost of services is expected to rise as the currently the effective service tax rate is 15%. There are no updates regarding the abatements for services under GST. Earlier, manufacturers with a turnover less than 1.5 crores were exempted from excise. Now, this threshold has been brought down to 20 lakhs. On top of that, small manufacturers enjoyed many exemptions and abatements. Thanks to these abatements (reduction in taxable values), the effective tax rate came down. Excise abatement of 40% is available on readymade goods. The manufacturer can pay 2% excise provided he forgoes input tax credit. Normal excise rate is 12.5% on readymade clothes. Thus, the effective tax rate comes down to (12/1000*100=)1.2% from original 12.5%. GST council has not yet given out any updates in these cases. Many products like as mobile phones, refrigerators, soaps, biscuits, etc, enjoy abatements up to 45% to exclude post-manufacturing value additions (such as marketing costs and post-removal transportation costs) from the levy of excise duty. Post-manufacturing value additions such as marketing costs and post-removal transportation costs are not leviable to excise duty. Excise duty is applicable on the ex-factory price of the product. 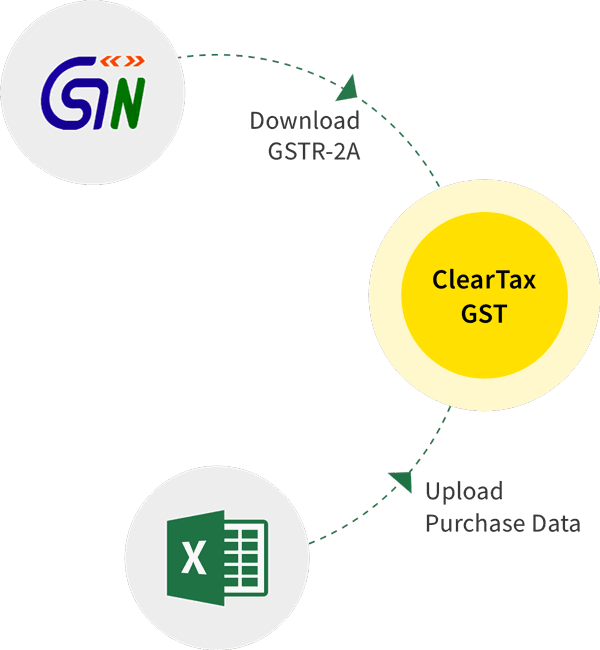 However, under the GST regime, tax will apply on the transaction value (MRP) of the product. For example, the ex-factory price of a product is Rs 100 and its MRP is Rs 150. The nominal excise rate is assumed to be 12.5% and GST applicable is also considered as 12%. The effective rate of excise is actually 8% (12.5/150×100) when compared with the GST transaction value. Finance Minister Mr. Jaitley has said there will be no inflationary impact as most of the rates which are at 31 per cent have been brought down to 28 per cent. “Of several commodities, we have consciously brought down the tax. In the overall basket there would be a reduction, but we are banking on the hope that because of a more efficient system, evasion would be checked and tax buoyancy would go up. That despite reduction the revenue neutrality and tax buoyancy thereafter would be maintained,” he added. There are still more clarifications required from the GST Council regarding the rates and also regarding the various tax benefits currently enjoyed by businesses in order to ensure a smooth transition to GST.